(!) Name should not contain spaces or any special characters and should start with capital letter. 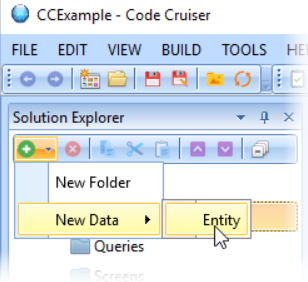 Press Add Field twice in the middle window. 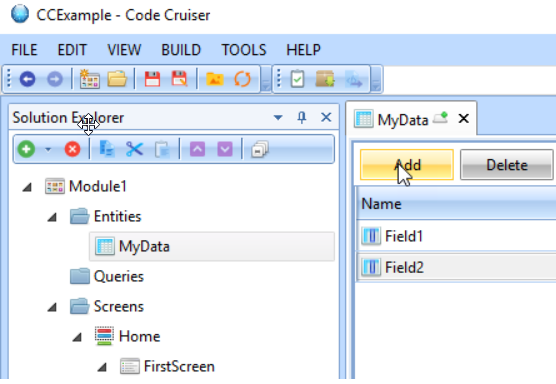 Double click on field name and enter “Id” for the first field and “mystring” for the second. 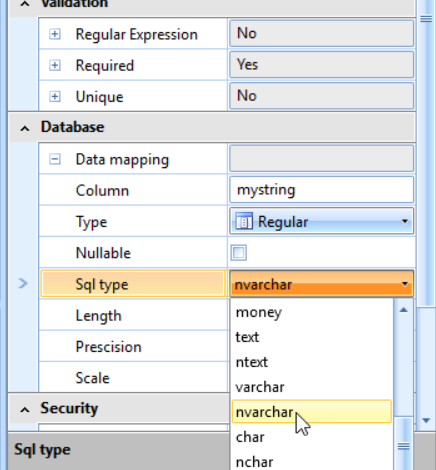 For the second field in properties tab select Sql type as “nvarchar”. 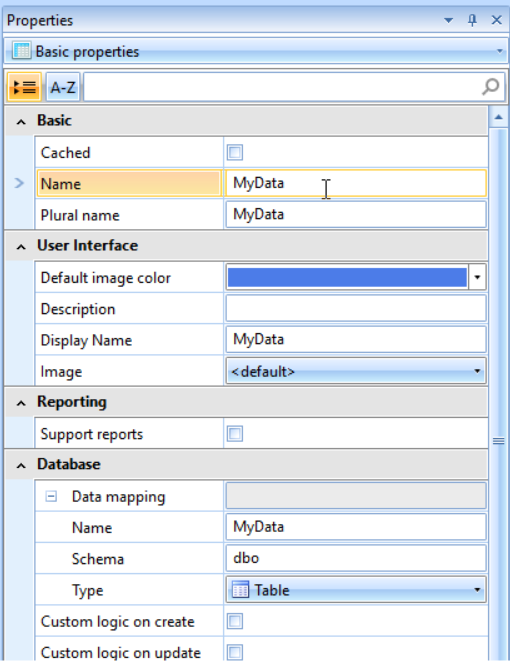 Select first field in the middle window and press Set key button.